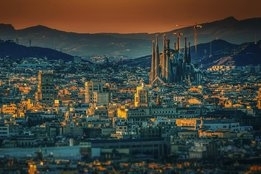 Barcelona City Council has joined the call to create an emissions control area (ECA) in the Mediterranean. Such an ECA has been under consideration for a number of years, with several bodies pushing for it to be implemented on heath grounds. A number fo supportive NGOs, including Control Nature and Biodiversity Conservation Union (NABU) and Transport & Environment, in 2016 gathered under an initiative call the CleanCruiseNetwork alliance. They have now launched a new “Rome Declaration” campaign to garner support for the ECA. The group wants the country as a whole to follow Barcelona’s lead and actively support the creation of the Mediterranean ECA as soon as possible. Up 5% over last year.